Oliver Paxman is the principal of Paxman & Paxman Barristers & Solicitors. Oliver has experience in all areas of criminal law including drug offences, bail applications and applications for spent convictions. Oliver also has a strong interest in traffic law including applications for extraordinary licences. 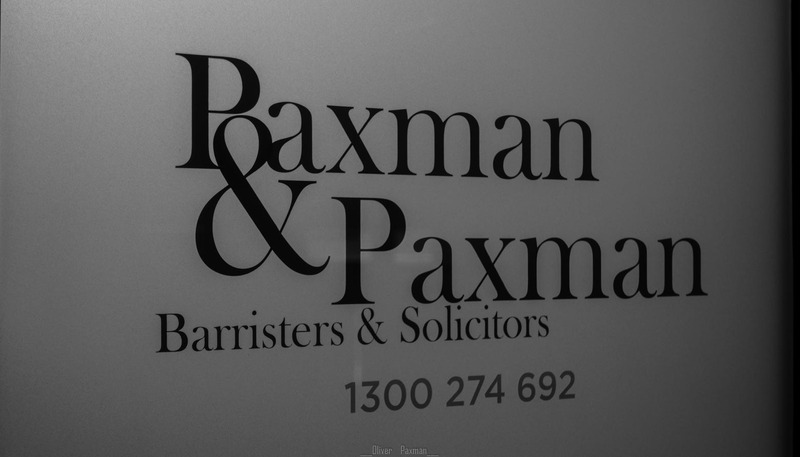 If you would like to have Oliver represent you, give Paxman & Paxman a call today on 1300 274 692 or fill out an online enquiry and one of our experienced criminal lawyers will be happy to assist you. Opinion: the Government’s Proposed Encryption Laws are an Insult to the Public. So, the Government in Canberra wants the power to read our private, encrypted messages? This can only be done by forcing software companies to build a “back door” into their encrypted products. Those back doors will undermine the system of encryption that was designed by software companies to protect our private information and finances from hackers, fraudsters and, wait for it… terrorists. On top of that, the Government is yet to tell us how they will force overseas software companies to comply. A law that is a gross infringement on our civil liberties that can’t be enforced and creates security weaknesses that can potentially be exploited by the same terrorists the Government says it wants to stop. What utter nonsense. It’s a desperate political stunt by a government facing electoral annihilation in a few month’s time. A government ran out of ideas when it “stopped the boats” (but not the flow of illegal migrants through our airports) 6 months after it took office. All of these laws that take away a little bit of our freedom are sold to us on the promise they will ONLY be used to stop terrorists and that ordinary people have nothing to worry about. Inevitably, they will be expanded to include “bikies” and “organised crime”. Then there will be outrage on talk-back radio about there being a “loophole” exempting “regular” criminals. And before you know it: these laws are being sold to insurance companies and used to disrupt the partisan activities of Grandma’s knitting club. We saw it when the police introduced tasers and OC spray. The same happened with the Crime and Corruption Commission. And again with the federal anti-terrorism legislation. Opinion Disclaimer: The views and opinions expressed in this article are those of the author(s) and do not necessarily constitute legal advice. The views and opinions may not reflect the official policy or position of Paxman & Paxman or any government or any other authority. Any advice is advice of a general nature only and does take into account your individual circumstances. Examples of analysis performed within this article are only examples and should not subjected to real-world testing. For advice that is relevant to your individual circumstances: please make an appointment with one of our experienced criminal lawyers by calling Paxman & Paxman on 1300 274 692. This entry was posted in criminal law, Opinion & Analysis, Police, Your Rights and tagged asio, civil rights, criminal defence lawyer, criminal law advice, criminal lawyer perth, encryption, privacy, terrorism. Bookmark the permalink.